This news comes amid other reports of American tech giants compromising values to enter or remain within China: Facebook has piloted a censored version of its own platform, and Apple recently faced criticism for moving its customers' data into China-hosted servers, and adding code to filter the Taiwanese flag emoji in Chinese locales. In even considering these changes, Google needs to tread carefully. In the wake of the last wave of engagement with the Chinese market, and to prevent Internet companies being complicit with human rights’ violations, the company joined with Microsoft and Yahoo! to create a set of standards for working in countries with poor human rights records: the Global Network Initiative’s Implementation Guidelines. EFF was a founding member of the GNI, but subsequently left the coalition in 2013 due to concerns that the companies were unable to be forthcoming about their involvement in state surveillance, even within a confidential environment. From the outside, it’s unclear to us whether this project has yet to be considered in the light of that agreement. 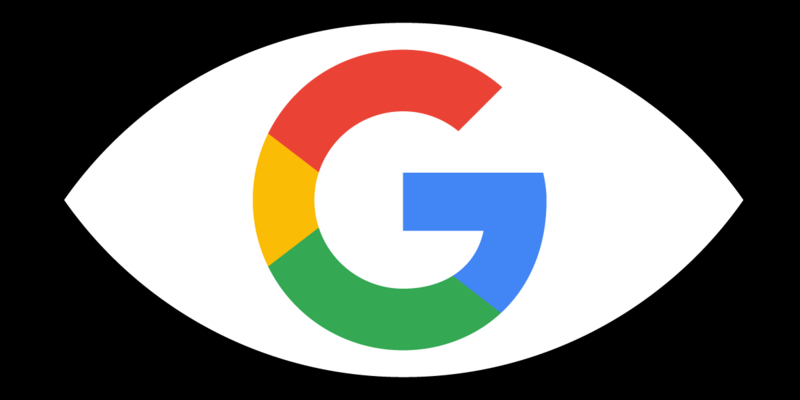 GNI’s Executive Director has told reporters, in part, that “All member companies are expected to implement the GNI Principles wherever they operate, and are subject to independent assessment, which is overseen by our multi-stakeholder Board of Directors.” It might reassure Google’s own staff and external critics to be told that process was being followed, and if both the GNI and Google were more public about the results of that procedure. But for now, it seems the company has opted to prepare new Chinese plans outside the view of the public, and even behind the backs of many of their own employees. Our original concerns from 2006 still stand today, but in 2018, the potential for damage when large tech companies co-operate with repressive states has grown. Since 2006, Google’s capabilities have expanded massively. We live in an era in which Google-owned tracking scripts are present on an incredible 75% of the top million websites. Google’s personalized profiles of its users across several online services help it provide “relevant” search results and advertisements. Simultaneously, in order to sustain their position on strong censorship, the Chinese government has had to implement broad and pervasive surveillance laws and technology. In particular, the explosive dominance of centralized applications like Weibo and WeChat, whose communications and transactions are regularly surveilled and censored, has ultimately transformed the digital landscape in China. 2017 in particular saw a new wave of regulatory crackdowns aimed towards strengthening digital surveillance practices across the Chinese Internet. In particular, the government began restricting tools used for anonymity and privacy by arresting local VPN providers, banning end-to-end chat applications like WhatsApp, and mandating Internet platforms to require offline identity verification. In certain regions of China, citizens merely attempting to use foreign or encrypted applications like WhatsApp or Telegram can have their service cut off and are asked to report to the police. It’s not clear how or whether Google’s planned offerings will comply with these new national regulations, or whether exemptions would be worked out for the tech giant. At this early stage, it’s this lack of transparency that concerns us most. What happened to transparency within Google? Google once prided itself in its internal organizational transparency, especially when compared to giants like Apple, famous for their secrets veiled in black cloth. However, as we saw with Project Maven, Google’s controversial AI contract with the Department of Defense, executives within the organization are willing to keep projects quiet in the face of potential backlash. The initiative was not publicized, and came to light only when employees noticed and brought it to the forefront of internal discussion forums. Unlike in 2006, when Google was open (and even apologetic) about the quality and nature of its service in China, this new iteration was developed with little external or internal visibility. A source at The Intercept reports that knowledge about Google’s China project was “restricted to just a few hundred members of the Internet giant’s 88,000-strong workforce.” Though Project Maven was not publicized, this information was at least available to employees. This time, the vast majority of employees discovered the existence of the China project only after these emails were leaked to the public media. That means certain questions remain unanswered, not just publicly, but even among Google’s own staff. What sacrifices will Google make to its own operating practices in order to enter the Chinese market? Will it have to comply with China’s internal strict regulations, and how will these compromises affect its offerings outside of China? The public, Google’s users, and Google’s employees have been kept increasingly in the dark about compromises on the company’s own values that could massively affect the lives of not only citizens within China or the U.S., but also Internet users around the world. Google has already committed to processes that consider human rights when entering new markets in the Global Network Initiative. Is it following them? Google is an effective gatekeeper of the Internet for a large majority of the world. It’s the portal through which many access the Internet, and through which Google itself continues to collect troves of information about these users across a variety of platforms. With that kind of responsibility, everyone — inside and outside Google — needs to stay vigilant and continue to hold the giant accountable. Avoiding internal oversight and criticism will not evade the backlash that will come from launching a complicit service, or the damaging consequences to Chinese users when Google’s compromises are used against them. It is better to have this debate now, in public, than to pick up the pieces when the damage has been done.